Professor Niall Ferguson argues that Britain's decision to enter the First World War was a catastrophic error that unleashed an era of totalitarianism and genocide. Was the Great War a great mistake? 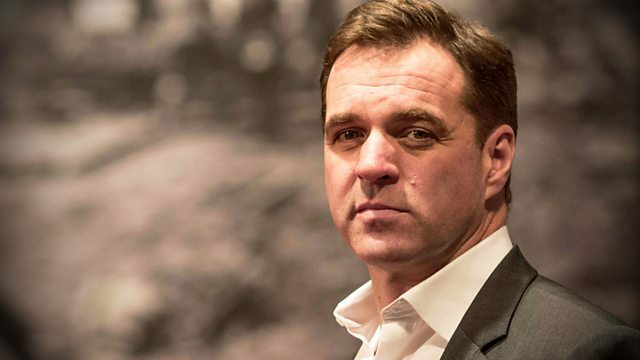 In this innovative programme, Harvard historian Professor Niall Ferguson offers a different perspective on the First World War and argues that Britain's decision to enter the war was a tragic mistake. The First World War was one of the great turning points of modern history. We know where the war started: in the Bosnian capital of Sarajevo on 28 June 1914, when a Bosnian Serb named Gavrilo Princip murdered the heir to the Austro-Hungarian dual monarchy. But how and why did this crisis in the Balkans escalate into a bloody global conflagration? Did Britain really have to fight a war against Germany? Niall Ferguson links cutting-edge graphics and short illustrative stories to place the First World War into the context of human history. He then argues that much of the responsibility for the scale of the conflict lies with the British and suggests that Britain's decision to enter the war in 1914 was not merely tragic for those who lost their lives, it was also a catastrophic error that unleashed an era of totalitarianism and genocide around the world. At the same time, the war revealed a fundamental truth about humankind's propensity for violence. At the end of the programme these contentious issues are debated by leading WW1 experts and the studio audience. Was Britain right to fight in World War One? Have your say from 8pm on Friday. The latest World War One content on BBC TV, Radio and Online. Could the First World War have been avoided? Sir Max Hastings presents an alternative argument to the debate in a documentary on BBC Two. Max Hastings and Niall Ferguson guide us through the opposing sides of this important and controversial debate in two compelling programmes questioning our role in the Great War. Did World War One nearly bankrupt Britain?